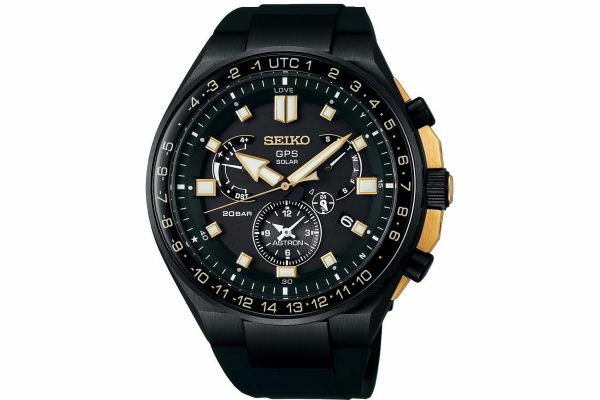 This limited edition timepiece is brought to you by world renowned Japanese watchmakers Seiko as part of their Astron collection in partnership with Novak Djokovic and features an impressive 46.7mm black ION plated stainless steel case and bezel with World time indicators and subtle gold detailing. Of only 1,500 released, SSE174J1 presents with an alluring black dial and contrasting bold LumiBrite hour markers and arrow hands each emphasised by gold highlighting. 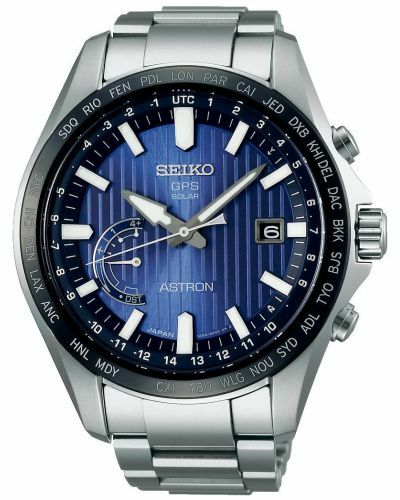 Powered by a Japanese 8X53 GPS Solar movement, this Astron watch has a 6 month power reserve once fully charged and a power save of up to 2 years. With world-time functionality this Limited Edition watch is able to auto-correct to 40 different time zones and its perpetual day/date calendar is programmed up to February 28th 2100. Capable of presenting dual time, the 8X53 Caliber is accurate to +- 15 seconds per month and has an automatic hand position alignment function. The screwcase back of SSE174J1 provides superior water resistance of up to 200 meters and is engraved with the limited edition number /1500 whereas the super clear coating on the Sapphire glass provides excellent legibility. Set upon a sports inspired black silicone strap and fastened with a secure three fold clasp with push button release; this Seiko Astron watch is a true masterpiece in its own right. 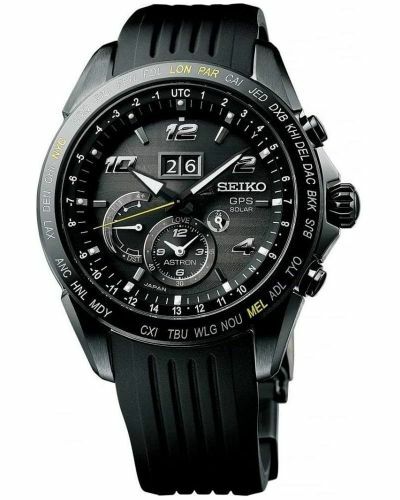 SSE174J1 comes complete with a two year guarantee and official Seiko Astron packaging.